Our Lady of Grace School opened in the year 2000. 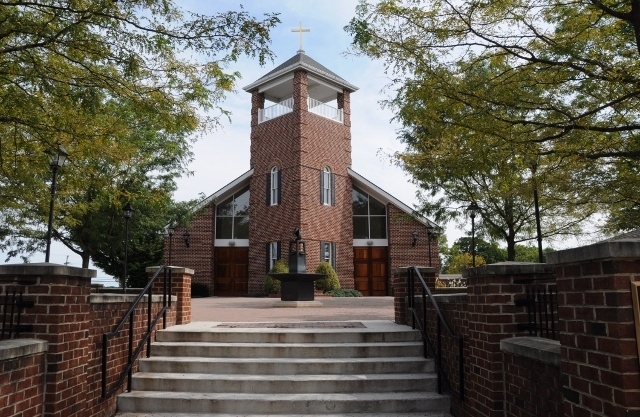 One of only two schools in the Archdiocese of Baltimore to be built since the 1970s, OLGS sits among the rolling hills of Parkton, Maryland. What started out as a dream of some of our founding parishioners turned into a reality when the doors were opened in the fall of 2000. Each year thereafter, an additional grade was added, culminating with the graduation of othe first 8th grade class in 2007. With the addition of a Pre-School program in 2009 we grew in new directions with programs for our youngest learners. In 2017, the decision was made to focus on those Early Childhood successes and emphasize preschoolers in grades Pre-K 2 through Pre-K 4. We reformed as a Preschool through this decision. Our Lady of Grace Preschool is partnered in ministry with Our Lady of Grace Church. Forged in the Catholic faith, OLGP welcomes children and families of all denominations. Our students come to us from Northern Baltimore County as well as Harford County and Southern York County, Pennsylvania. Catholic Schools in the Archdiocese of Baltimore provide a Christ-centered education that is academically excellent and empowers students to reach their full potential - spiritually, intellectually, physically, socially, and morally. The Archdiocese of Baltimore Catholic Schools enroll over 25,000 students. There are currently 45 elementary and middle schools, and 19 high schools spread throughout the Archdiocese which include: Baltimore City, Alleghany County, Anne Arundel County, Baltimore County, Carroll County, Frederick County, Harford County, Howard County, and Washington County.